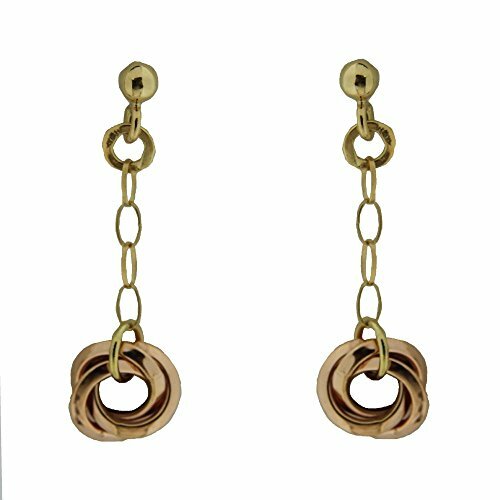 18 kt pink gold and yellow gold knot dangle earrings by Amalia at Blood of The Young. Hurry! Limited time offer. Offer valid only while supplies last. 18K Yellow Gold Pink Heart and Lilac Butterfly Enamel side and back Satin finish gold Dangle Post Earrings 1.5 inch L.